Twenty four weeks until the big race. Fourteen weeks until the half marathon. 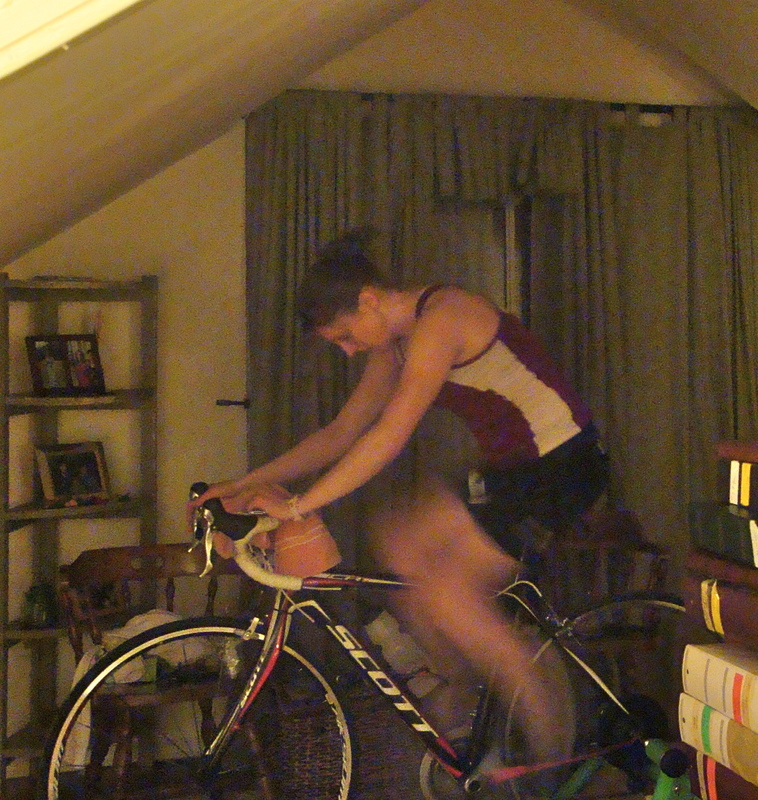 Twenty three weeks until the first tri of the season…And what will be my first tri ever. It seems like a long time, but at the rate time goes at the moment, it will be here before I know it. Now, I spend almost eight hrs a week building a foundation for the harder training which begins in February. Swimming is focused on technique and proper form. Biking is composed of interval training. For the first time in years, I spend time running around a track doing speed work…I found out that eight laps around a track is more than 800 meters (don’t judge, the track had snow on it and I was running in the dark and running on lack of sleep and thought one lap around the track was 100 meters…Eight laps is actually 3200meters, just incase you did not know. No wonder that “speed” workout took me forever.) Each week builds upon the previous one. There is no excuse for missing a session, since I can do all these activities inside if need be, like spending time on the dreaded trainer. Yes, a friend caught me on my nemesis. Not only am I not a huge fan of the trainer, I’m not too fond of when people come to visit whilst I’m in the midst of a workout. I don’t think I’m ever in a good mood in the middle of a hot and sweaty date with Kurt, mostly, because I’m always drenched with sweat, and, there is no such thing as coasting whilst on a trainer. The only thing that seems to keep me sane is my ipod with really, really great music for indoor riding. My friend happened to stop by and thought it would be amusing to take a picture of me. I, on the other hand, was not as amused. My friends are so considerate of my feelings. On a similar yet different note, I cannot believe how accurate the below video is–I think anyone who is serious about racing can relate to some aspect of it. Previous Snow Next This Isn’t About Running, or Swimming, or Biking?